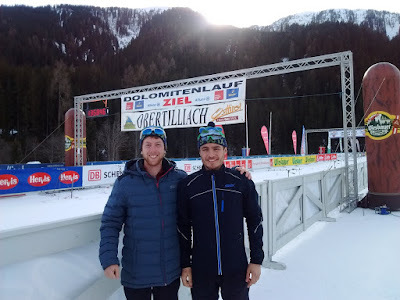 We arrived to Lienz, Austria in the afternoon on Friday. 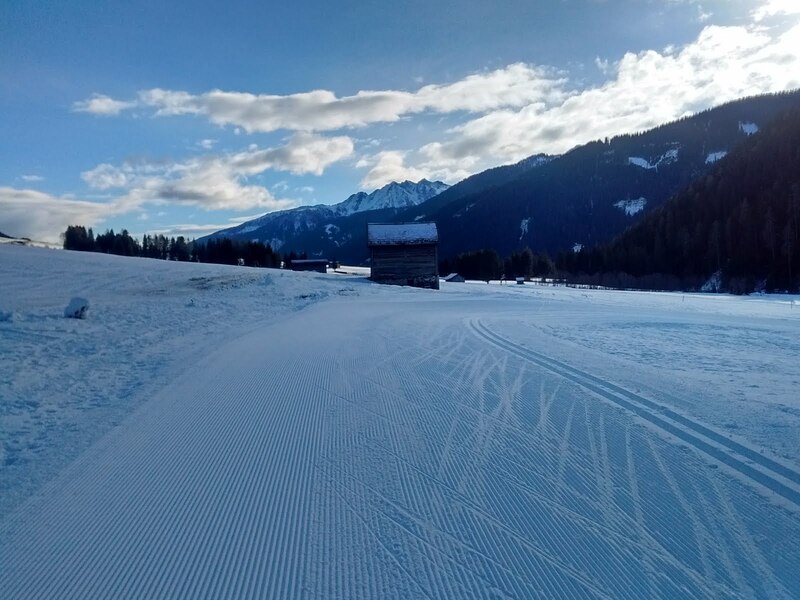 Unfortunately, we had an opposite experience to our tunneling on the way to Davos. As we got closer and closer to Lienz the fields turned brown and the temperatures skyrocketed to a balmy 5 degrees celsius! 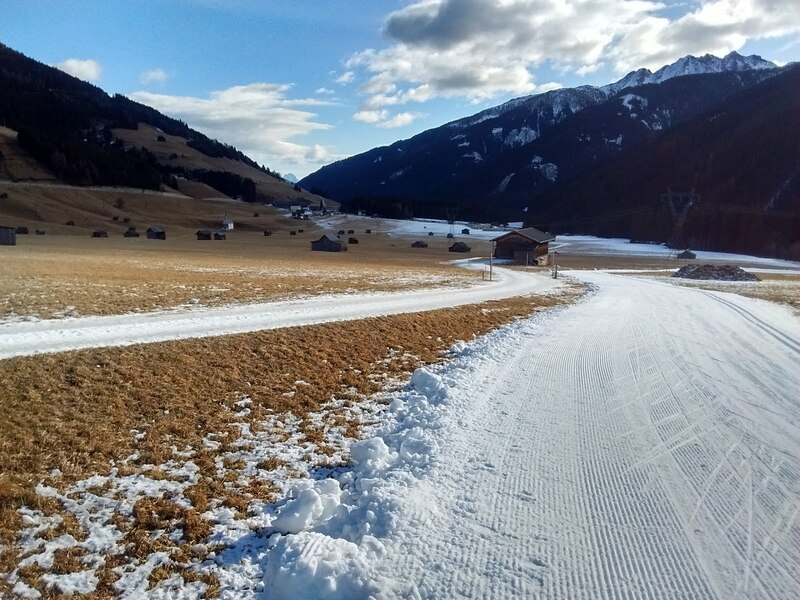 We were unable to ski in Lienz, however we were fortunate that the Dolomitenlauf was being held up in the mountains outside of the city. 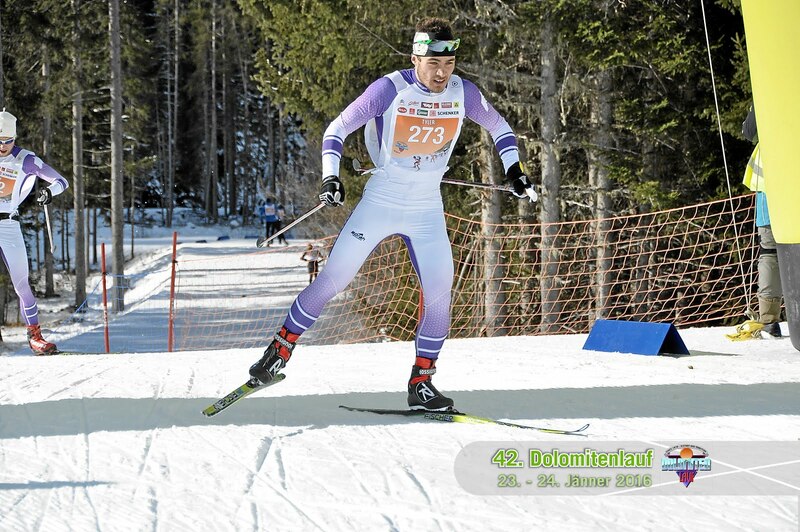 The Dolomitenlauf is a 42km skate race, however there are different races all weekend. We went up to the course the day before to check it out and were able to watch part of the classic race as well. Europeans will go to any lengths to host a ski race! 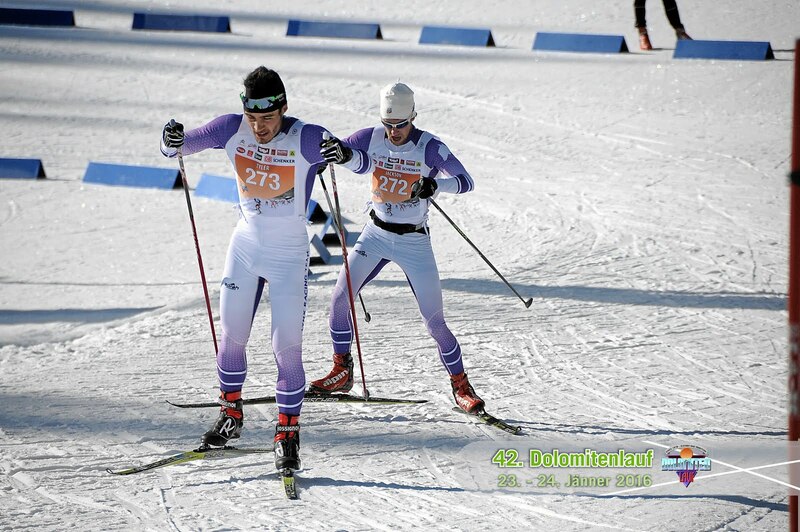 The race organizers created a light atmosphere on race day, blasting American pop music and welcoming representatives from every World Loppet on the circuit. 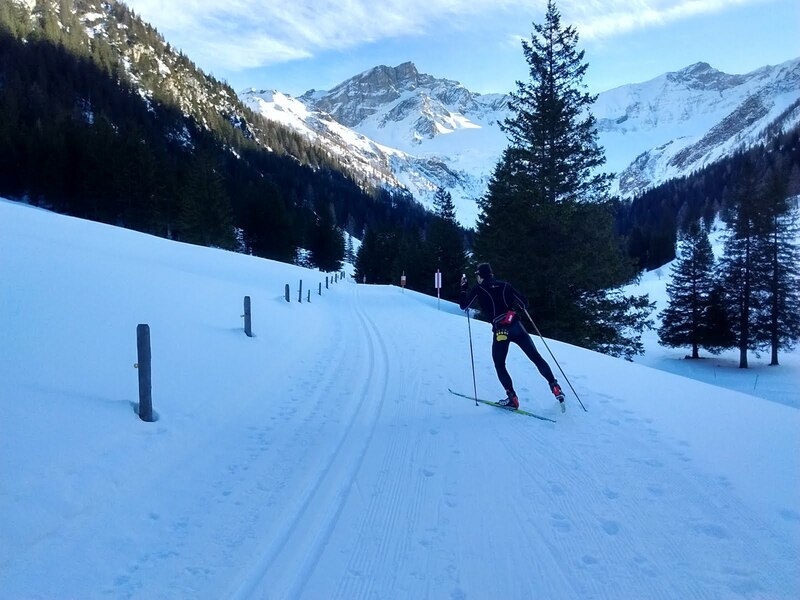 We are slowly becoming more savvy in our race preparation and got the start about 45 minutes early to stake our spot with our skis. Already, people had filled several rows in front of us. The race immediately opened up into a large field, giving us room to move up through the mass of skiers in front of us despite starting, again, behind about 200 people. 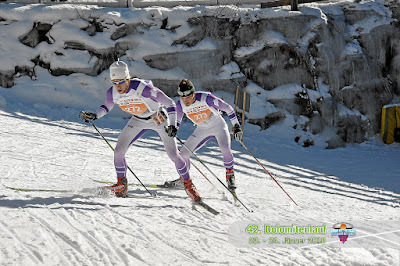 After 15 kilometers of racing, we settled in with a pack of about 10 skiers that included the lead women in the race. Since skiing with a group is so much more efficient than skiing alone (skiers draft off of each other like bikers, making skiing behind people much easier than leading), we skied at the back of the group for about 20 kilometers, occasionally chatting about race strategy and the lovely scenery. With about 10 kilometers to the finish, another skier came up from behind our pack and passed us. 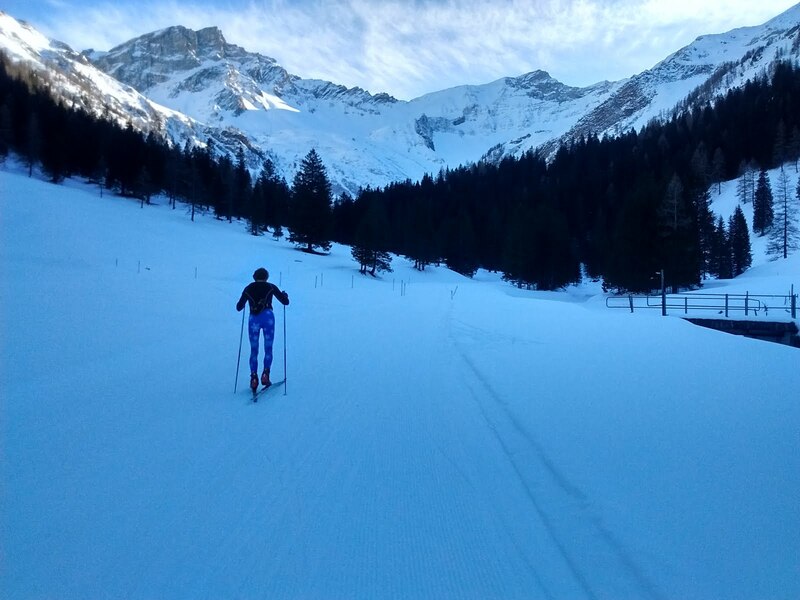 We followed him to a group of five skiers ahead of us, and then, two kilometers from the finish, we dropped this group and raced each other to the finish line. Tyler, the superior sprinter, crossed first, finishing 24th overall. Jackson nearly kept up but finished four seconds behind in 25th. Oddly, a massive crowd was cheering madly when we arrived. We thought it was for us! Then we turned around to see the first woman finishing close behind us, well deserving of the uproar. Photos of the 42nd Dolomitenlauf! The following day we went for a hike in the foothills of the Alps because it was 10˚C and there was so little snow. We found a picturesque church hidden in the forest and some great overhead views of Lienz, then returned home to eat nearly a kilo of pasta. We are now in Zürich again, staying with Jackson’s family friends, the Messerlis. On our way to Switzerland, we stopped in Liechtenstein to ski. 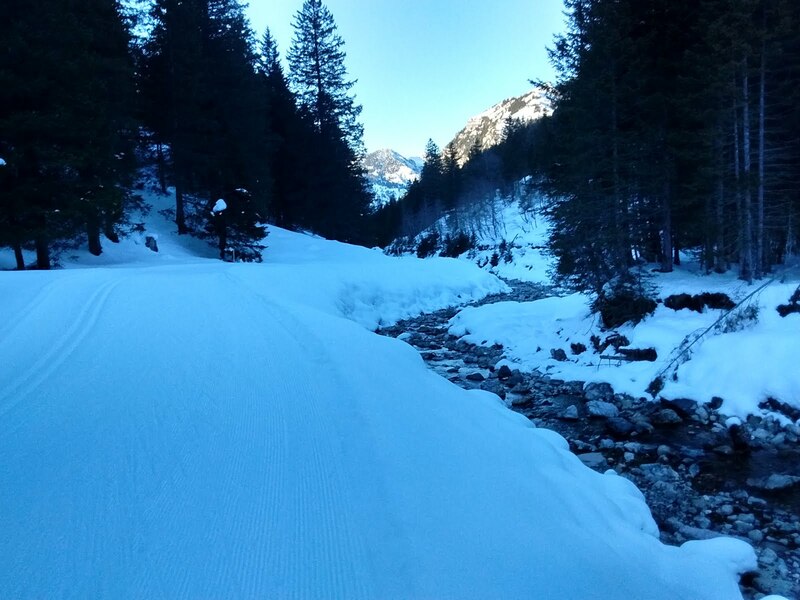 It seems warm temperatures have swept across the Alps, and the day was again about 10˚C, not the winter weather we had anticipated. The drive up to the ski venue was precipitous. We probably gained five kilometers as the crow flies and nearly as many in elevation. Finally we reached the top, and the skiing was almost perfect, despite the warm temperatures. Trails followed a narrow river valley through steep mountains, which surrounded us on all sides. Tyler donned some Maranacook tights to represent his high school and Jackson stopped ocassionally to bird by the river where White-throated Dippers fed in the icy water. Similar to our ski into Poland, we felt skiing in Liechtenstein was a unique and exciting opportunity on this trip, as well as a great way to cap the Dolomitenlauf. 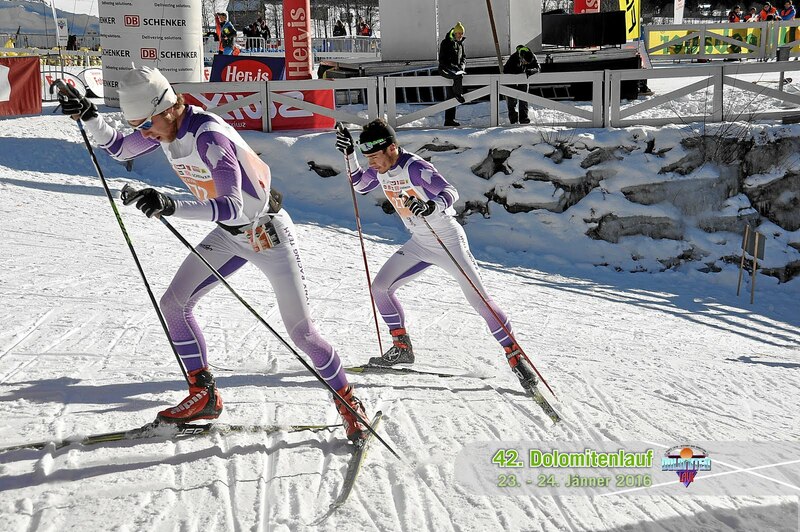 I have to admit....the speedsuits look pretty legit. Continued great color commentary and engaging photos! Too bad about the lack of snow, but it doesn't seem to have broken your stride(s). Nice finishes! 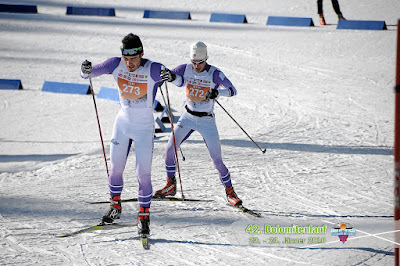 Nice photos of you guys skiing in stride with one another in your spiffy suits! 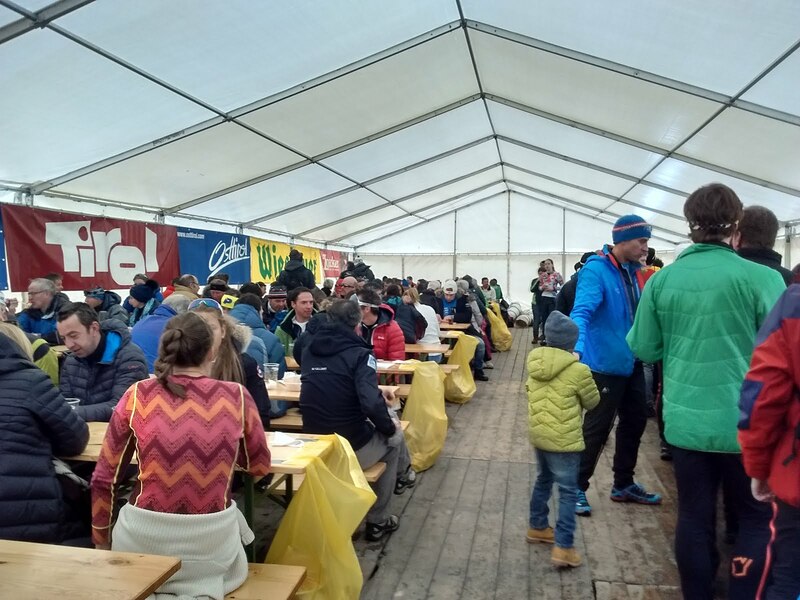 Is it just me, or is top 25 in the Dolomitenlauf a huge deal? A couple of minutes behind Max Olex (2014 NCAA runner up) and eight minutes behind freakin' Giorgio Dicenta: go team Lynx!